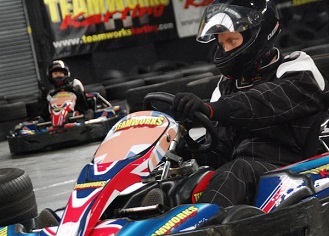 This delightful Nottinghamshire track presents a real challenge to the enthusiastic kart driver. Contained within the 450m are eleven challenging corners together with a banked bend just to make sure that you get the full-on race experience! There is great attention to detail and all the events are designed to give your drivers the maximum thrill for their money. Head northwest on Derby Road/A610 toward Upper College Street, continue to follow A610 and go through one roundabout then turn left toward A610. At the roundabout take the second exit onto A610 and at the next roundabout take the third exit on to the M1 ramp. Merge on to M1 and leave at junction 28 taking the A38 exit to Mansfield/Matlock. At the roundabout take the fourth exit onto Alfreton Road/A38 and continue to follow A38. Turn right on to Penny Emma Way/B6021 - Destination will be on the left. Tell us how many and when and we will provide you with some options for different budgets. An ideal venue to host your team building exercise, corporate event or office party.